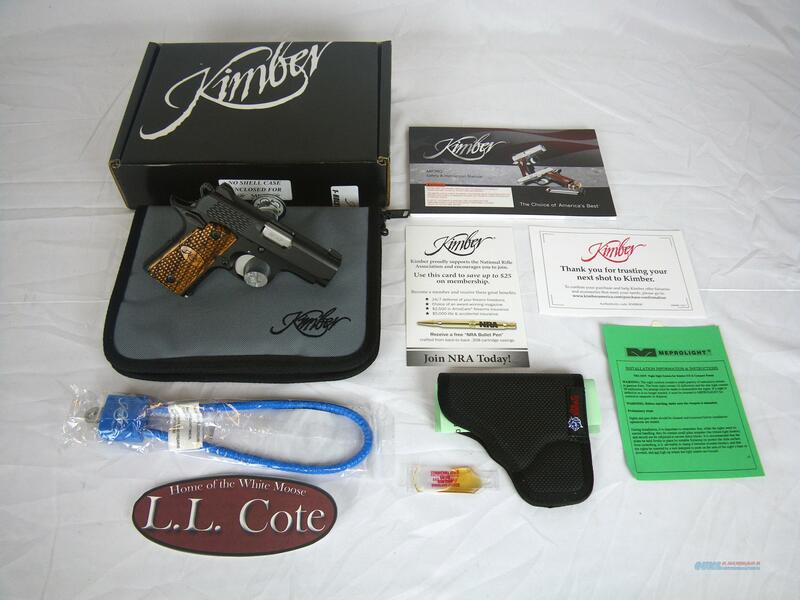 Description: You are bidding on a Kimber Micro Raptor in 380 ACP with a 2 3/4" barrel. This compact carry handgun has a beautiful zebra wood grip on a black finished frame. Kimber used a custom scale serration pattern on the grip surfaces to give this handgun a beautiful look. Tritium night sights provide excellent target acquisition in any lighting. Displayed images are stock photos. Any questions please feel free to ask (our phone number is in the additional information tab above).